Long ago, when majestic fire-breathers soared through the skies, there lived a knight who would come face-to-face and heart-to-heart with the most remarkable creature that ever existed – the dragon. Dennis Quaid stars with the voice of Academy Award® winner Sean Connery in the heroic adventure that blazes with fantasy and humor. 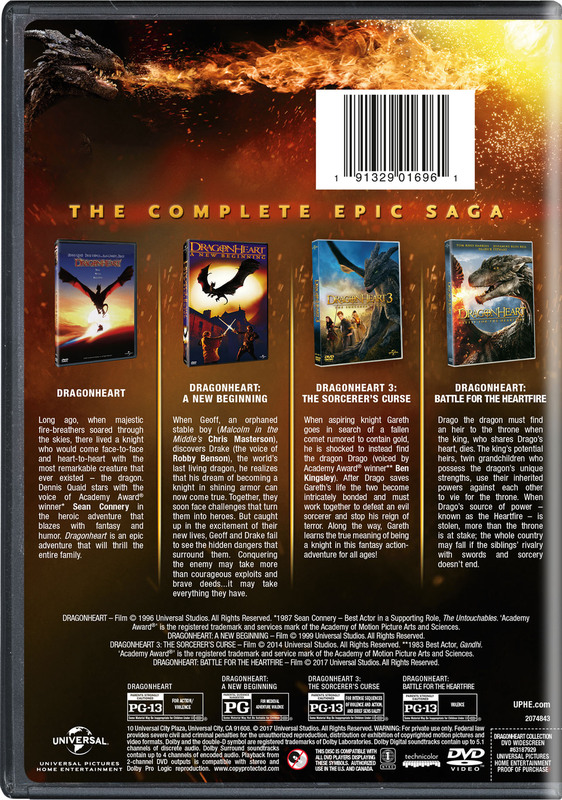 Dragonheart is an epic adventure that will thrill the entire family. When Geoff, an orphaned stable boy (Malcolm in the Middle's Chris Masterson), discovers Drake (the voice of Robby Benson), the world's last living dragon, he realizes that his dream of becoming a knight in shining armor can now come true. Together, they soon face challenges that turn them into heroes. But caught up in the excitement of their new lives, Geoff and Drake fail to see the hidden dangers that surround them. Conquering the enemy may take more than courageous exploits and brave deeds...it may take everything they have. Drago the dragon must find an heir to the throne when the king, who shares Drago's heart, dies. The king's potential heirs, twin grandchildren who possess the dragon's unique strengths, use their inherited powers against each other to vie for the throne. When Drago's source of power – known as the Heartfire – is stolen, more than the throne is at stake; the whole country may fall if the siblings' rivalry with swords and sorcery doesn't end.